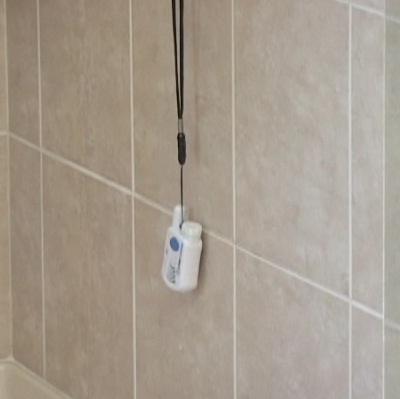 Carry the emergency call button all over your home and yard with you, even in the shower. With No Monthly Fees you will save hundreds of dollars each and every year when compared to the cost of a monitoring service. What is the cost of an ambulance trip and an emergency room visit? By calling friends or family to help in the event of a fall you can save an ambulance trip and hospital charges. called directly instead of being connected by a call center. Minutes count in the event of an emergency. Take this system with you when traveling to family or another location. Just plug it in and you are ready to go. instead of pressing a button and waiting for help to arrive. 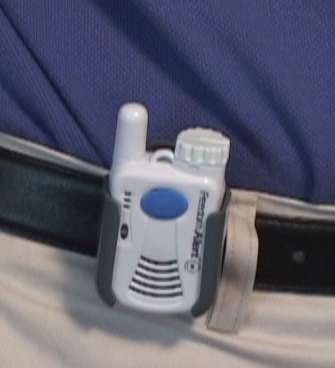 With one simple button to press it is much easier to use than dialing a phone under stressful conditions. It’s simple for children to use and those with memory or vision issues. The possible uses and benefits are tremendous!! What Will Your Loved Ones Do While Waiting for An Ambulance To Arrive? or they can Talk with a Comforting Voice and know that everything will be OK.
Give the Gift Of A Comforting Voice While Waiting For An Ambulance or Emergency Assistance. 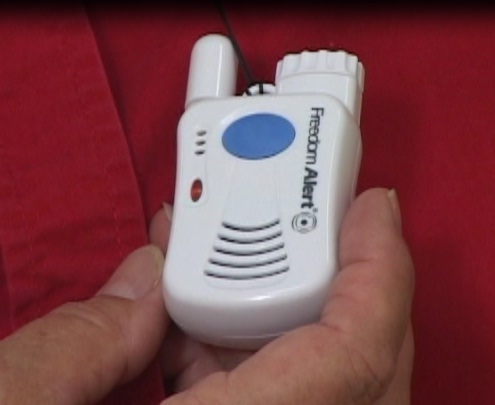 Your loved one has fallen in the back yard or in the bathroom....they press their panic button and wait...The time drags on --- the stress mounts -- does anyone know they need help?---- the heart races --- until they hear the siren sound. With all the medical alert systems that you pay monitoring service fees for, your loved one will lay there and wait to hear the siren. 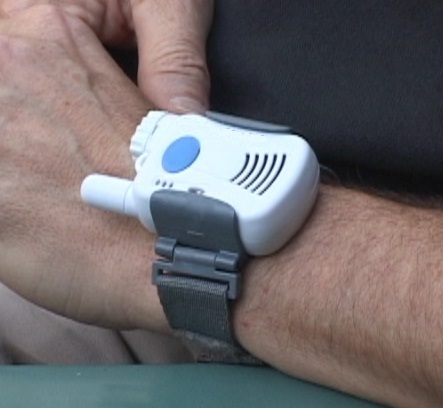 Wouldn't it be comforting for your loved ones to be able to TALK to someone in the meantime? 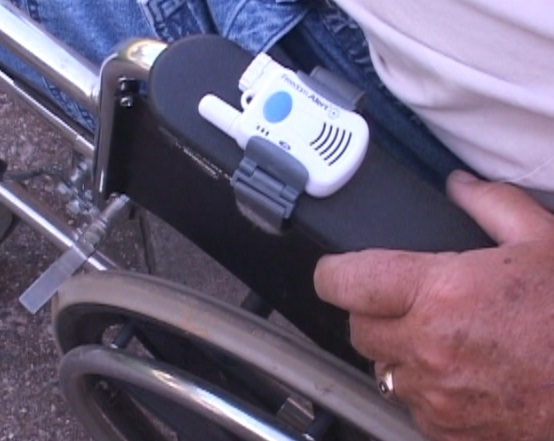 The ability to hear a comforting voice letting them know help is on the way is a great feature for your loved ones. Try it for 30 days, return if not satisfied. 1 year full warranty on all equipment. Sale Price - Only $279.95 - * LIMITED TIME - FREE shipping. Sale Price and Free Shipping EXTENDED Only For Orders placed in the next 2 days. Save $39.95 and lock in these prices. 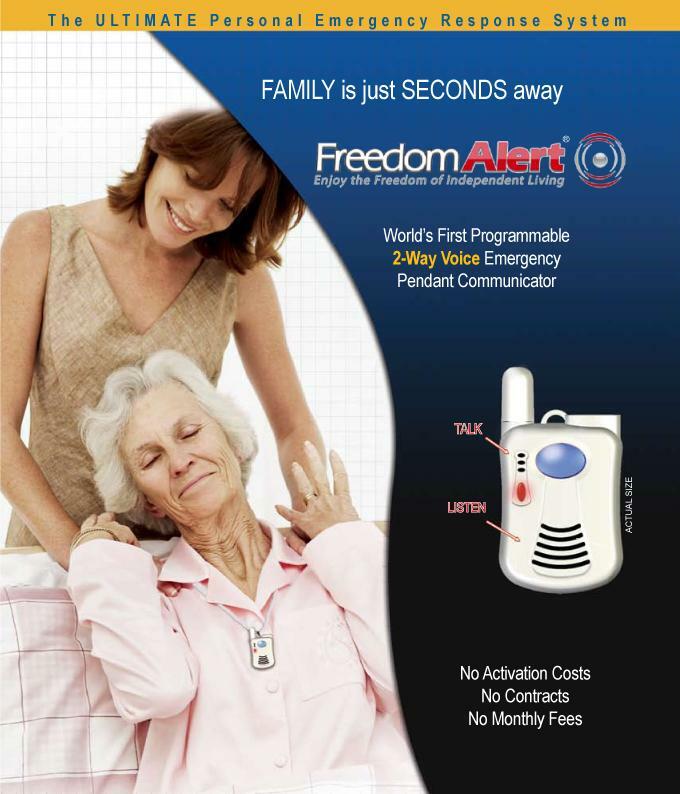 Freedom Alert for only $149.95. Only calls 911. Click HERE for more information. Can I try it and return it if I am not satisfied? Yes, there is a 30 day return policy. You can try it for 30 days and return it for a refund if you are not satisfied. Yes, there is a 1 year full warranty on all of the equipment. If there are any problems in the first year we will replace the part. Is this system compatible with VOIP and Cable Telephone Systems? 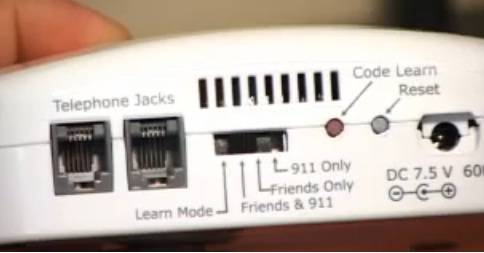 Yes, this system will work with your cable phone systems and many others like Magic Jack, Vonage, and more. What if I can't speak to the person that the system called, how will they know I need help? and know that you need help even if you can not speak. What happens if an answering machine answers, how does the system know the difference between an answering machine and a person answering? If the system does not hear someone press a '5' the system will assume it is an answering machine or no one answered and hang up and call the next number. How long does the charge for the battery in the pendant last? The battery in the pendant is a rechargeable battery. Under normal use it should last several months. There is a backup rechargeable battery that is always charging in the base system. When the battery in the pendant gets low the pendant will speak to you and tell you to change the battery. Simply take the charged battery from the base unit and exchange it with the low battery from the pendant. You will always have a charged battery available so there is no waiting for the battery to be charged. What happens if the power goes out or I accidentally unplug the power? Not a problem. The base unit has 4 AA rechargeable batteries that will keep the system running for at least 24 hours if there is a power outage. Plus, if the power does go out or you accidentally unplug the base unit, the unit will tell you with a real voice that says 'running on battery power'. The system will repeat this to let you know the system is not connected to electricity. Once the power is restored the message will stop. 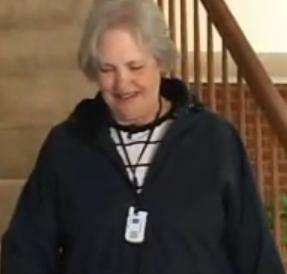 The important thing is that the system will work just fine if the power goes out and you can still call for assistance with the unit. Can I use more than 1 pendant on this system? Yes, you can use up to 16 pendants on one base unit. Extra pendants can be purchased separately at any time. Can I use a pendant with more than 1 base unit? Yes, a pendant will work with any number of base units. This would allow you to have 2 base units at 2 separate locations without having to move the base. Or if a friend has a system and you want your pendant to work with their unit you can do that also. What if my neighbor gets one, will my pendant set their system off? Not unless you want it to. Each pendant is 'paired' to a base unit. This means that you can use the pendant with just your system or you can use it with your neighbor's system, the choice is yours. Do I have to call 911? No, this system will call any number that you tell it to. You can have it call 911 only if you choose to. What happens if I can not speak and the systems calls 911? 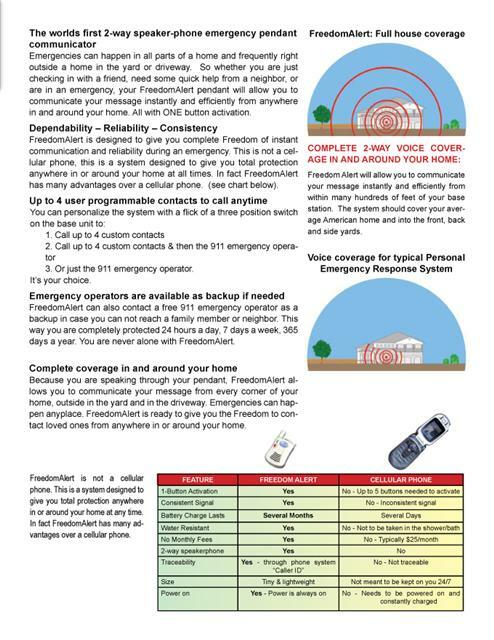 The E911 system in the United States automatically knows your address based on the caller id of the phone number from where you called. If you call 911 and do not speak they will attempt to call you back. If they get no response they will send emergency assistance to the location of the call. Can I take it to a different location? Yes, take it to a new location at any time. It has a battery backup so it will retain the telephone numbers that you have programmed into it. If it is more than 24 hours between the time you unplug it and plug it back in you may need to re-program the telephone numbers and re-sync the pendant. Will it work in Canada or other countries? It will work in Canada. Countries other than Canada may require an electrical adapter and a telephone jack adapter to connect to the power and the phone line. Will it call and work with cell phones? Yes. Just program the cell phone number into the system the same way that you would if you were calling the cell phone number directly from the phone line. How do I check that the battery is ok and the pendant is connected to a phone line? Just press the gray button on the back of the pendant to check the battery and the pendants connection at any time. See the video above. 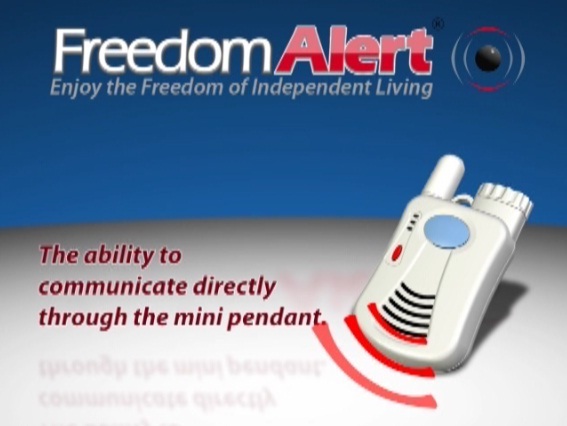 We appreciated the security that the Freedom Alert provided my mother-in-law in the last few weeks of her life (she passed away 2 1/2 weeks ago). each person on the list. She talked to them briefly and then let the system roll to the next person until we got through them all. .... the concept is fantastic and unique in the marketplace. Thanks, Joe Haynie, Account Executive/Consumer Industry & Retail, EDS, an HP company, FranklinCovey and FranklinCovey Products Accounts. PAYMENT NOTE: All Credit Card Payments Are Processed "Through" PayPal. This DOES NOT Mean That You Must Have A PayPal Account. You Will See A PayPal Screen But You DO NOT Have To Log Into PayPal UNLESS You Want To Pay With Paypal. If Paying With A Credit Card Simply Enter Your Credit Card Information.